The Power Zone's "communicative" nature really sets it apart. Its 7-inch color touchscreen display operates like a smartphone app. Let the Power Zone give you all the details you need about the gen-set, from general system status to faults and alarms. This will ensure your emergency standby unit works when you really need it. Scalable and configurable I/O amplifies the controller's voice, giving you both remote monitoring and remote generator controls, all at no additional cost. And because service techs can also keep an eye on the generator, maintenance becomes a proactive — not reactive — proposition. What if Hardware Could Think? So how does the Power Zone controller think? For starters, it can manage paralleling, automatic transfer switches, and manage the load when the gen-set is installed in a Modular Power System (MPS) configuration. It is compatible with natural gas and diesel generators. 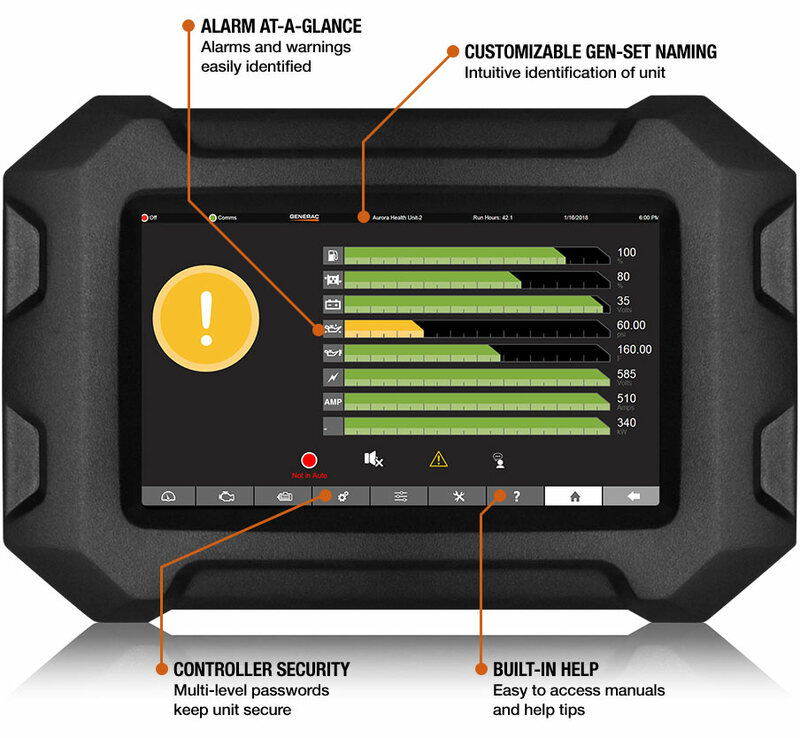 Many controllers offer remote monitoring and the ability to customize the controls as part of an annual subscription service and require the purchase of additional third-party hardware. 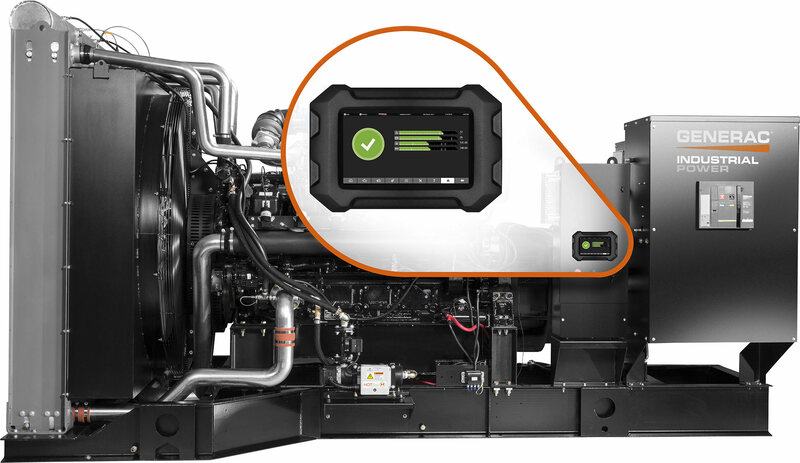 The Power Zone has built in Wi-Fi, Bluetooth, and LAN connections enabling the Power Zone controller to be easily integrated into complex systems requiring more advanced generator set monitoring. A self-help solution with built-in manuals provides critical information on demand to help reduce maintenance and repair times and improve overall performance. Additionally, modules are available to provide local and/or remote annunciation of gen-set operating status, such as a low oil pressure or high coolant temperature. 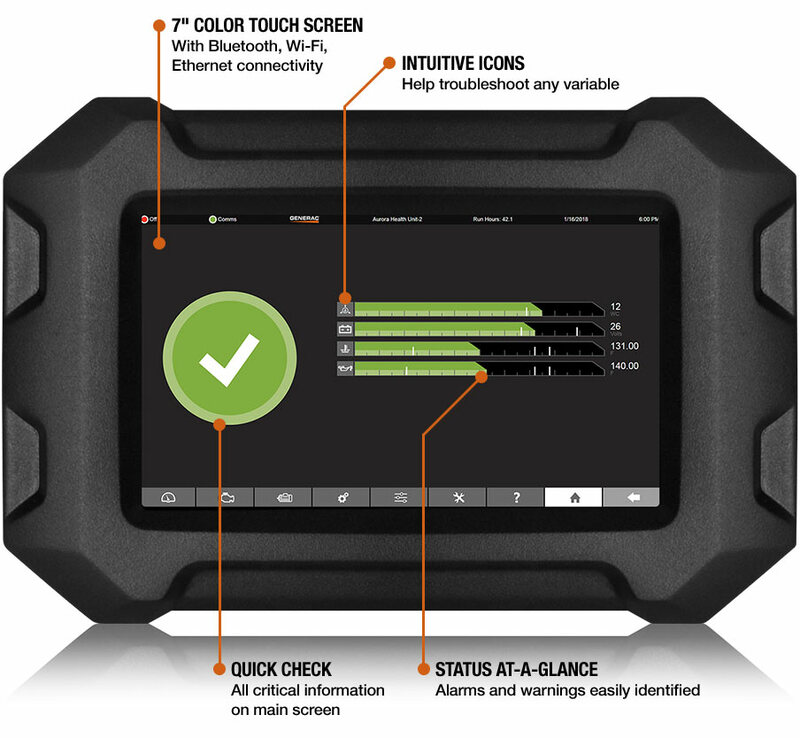 The Power Zone has built in Wi-Fi, Bluetooth, and LAN connections, enabling generator monitoring from your climate-controlled vehicle for greater efficiency and comfort. 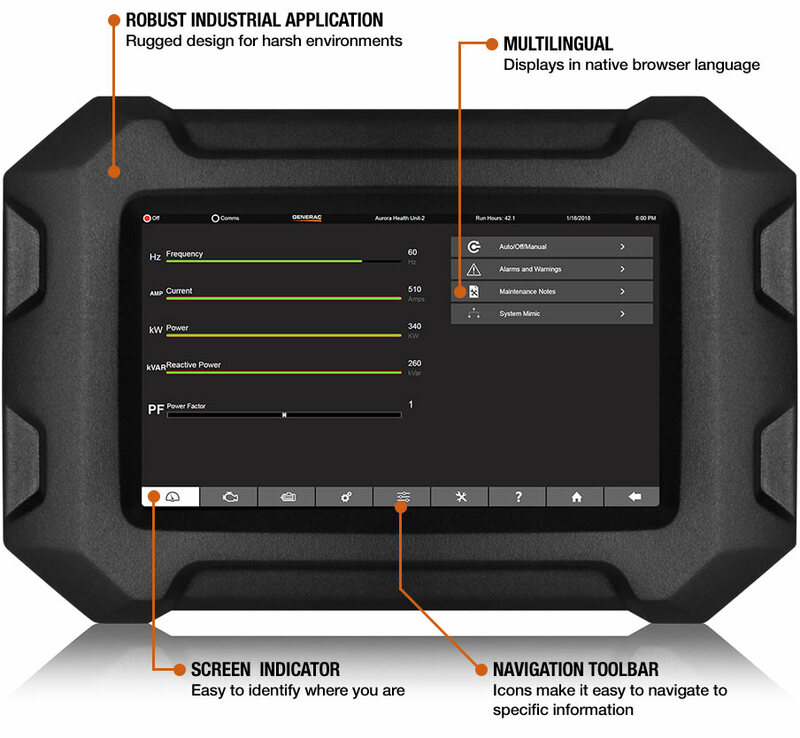 Power Zone functions like an app on a large 7-inch graphical display, making it easy to use while providing access to a wide range of data. Designed for the future, Power Zone has the capability to expand your MPS to unlimited number of generators as your power requirements increase. The Power Zone provides user access to generator status, including immediate alarm and fault notification. It prioritizes complete system fault information and translates it into clear, actionable notifications that are immediately sent, allowing proactive service scheduling to avoid downtime. Notifications can also be sent to your servicing dealer to make maintenance and repair even quicker. The Power Zone archives critical engine and alternator data before and after a fault occurs, making root cause analysis easier. Power Zone collects historical data, such generator date/run-time, operating hours and kWh produced. Information to go. Grab the Sell Sheet (in PDF format) to learn even more about the Power Zone controller. 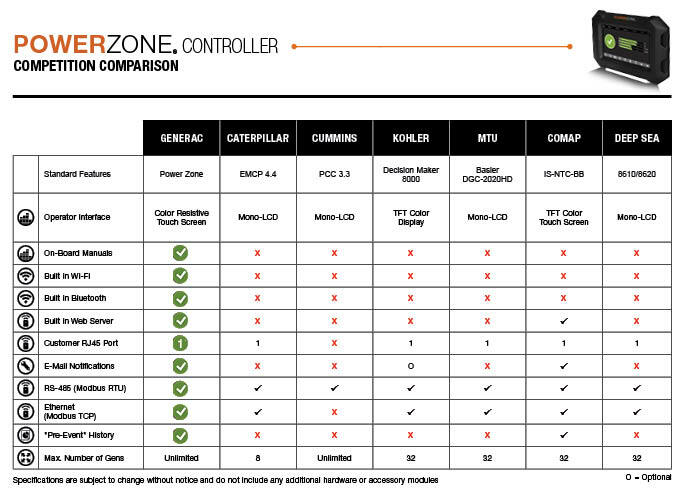 Get the ins and outs of the Power Zone controller by downloading the Spec Sheet in PDF format.